The art of importing gourmet coffees from all over the world is the product of scrupulous research into the finest quality producers from all origins, In addition to importing and distributing the best know coffees from dozens of Latin American, African, and Asian producers, Wanted coffee is always busy looking for rare and high-quality coffees from around the world. We only purchase the finest estate coffees, 100% arabica beans from around the world, like the most famous coffee plantations areas as “Columbia Medellin Armenia Excelso”, “Salvador Pacamara gigante” and “India Plantation Bababudan” , and in Cau Dat of Vietnam, this assures you an unique blend that meets the strictest coffee standards. We buy only the best, mid-crop beans, and only from growers we know and trust. This ensures the absolute highest quality. The range and quality of coffees we select and offer is one of the most extensive of any coffee roaster and blender in Italy. Our regular roasts do not have the “smoky” over-roasted quality that so many other roasters produce with their “one roast fits all” roasting style. Our dark roasts have clean, satisfying, intense flavours without a burned aftertaste. In addition to our roasting expertise, we have another equally important aspect to our company. We created this special blend for your restaurant, your home or your office, and supply fresh roasted whole bean or grounds as often as you like. This ensures a unique flavour, and freshness that is incomparable. With our background in coffee machine business, we put together the resources necessary to produce a largely unavailable product. Finding the very finest coffees in the world, we create the “Coffee Italia Roaster” roast, a slow roast that enhances the inherent excellence of each coffee and is also different for each coffee. Variety specific roasting is what makes our coffee so special. We guarantee freshness, because when it comes to truly great coffee, freshness matters. We roast and ship daily, so you can order in small quantities and ensure your coffee is always fresh. You can even set up automatic orders so – Heaven forbid – you never run out. Our roasts are directed by the human hand, not computer. The world's finest coffees demand an artisan's skill to bring out their individual character and complex flavours. Beans and roasting environment vary constantly, making perfect roasting an ever-changing target too complex for automated programs. 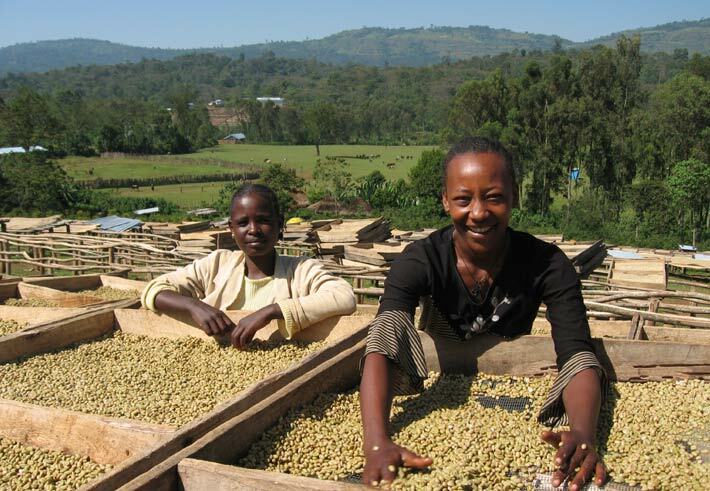 Wanted coffee artisan-roasters honour the farmer's skill and dedication in each roast. They draw on years of experience and all their senses to develop the beans to the roast known as the 'sweet spot' - the peak point of flavour, body, aroma and brightness. Wanted coffee espresso efforts are geared towards monitoring the continuous changes in the coffee varieties grown, and in agricultural, harvesting and processing techniques in order to choose the best coffee to produce an high quality product. Both directly and through agents and local exporters, Wanted coffee finds those coffees best fitted for making an excellent espresso blend. Particular attention is paid to the stability in qualitative characteristics through each season, and over the years. Each market can perceive the intrinsic quality of the same single coffee differently depending on the extraction process, gastronomy/cultural tradition, and quality of life. The choice of coffees suitable for espresso thus becomes all the more important, and the selection is narrowed down to include only those coffees that contribute to creating the worthiest components for the best possible Italian blends. Wanted coffee espresso, is located in Italy, in a historic mill close to Venice. Our coffee is never harsh or bitter. Many roasters use a combination of grade 2 and grade 3 beans and consider this specialty coffee. For us there is no compromise. We use only grade one beans or as it is called in the industry, specialty grade, which accounts for one percent of the coffee grown in the world. So as you can see, selling only fair trade coffee and shade grown coffee is rare enough but choosing the top one percent in quality means you get coffee that is not only socially and environmentally conscious but unmatched in flavour. All of our coffee roasting equipment is state of the art, custom build for us with our strict specifications. Our Roast master has done extensive testing to determining both the length of time and temperature to optimize each beans best qualities and to achieve the most desired flavour. We finish the process by cooling the bean with large fans to seal in the flavours. Our passion in Wanted coffee espresso, is to discover the elusive sweet spot of every bean we encounter, producing for you the best possible coffee on the planet. We believe that quest is the essence and art of coffee roasting. To achieve it, we roast each batch by hand without the aid of computerized profilers; we match time and temperature to the progression of colour and aroma; and we adjust each batch individually to ensure perfect taste. At exactly the right moment, the beans drop into their cooling tray and finish what we consider the optimal roast. We breathe in that distinct coffee scent as it wafts across the market, drawing customers. We invite them to share in our experience, to sample the power of freshly roasted beans. We love to talk coffee and share our customers’ enthusiasm for some of the simplest but most enjoyable pleasures in the world, great coffee and fine coffee makers. Please take time to peruse our extensive range of coffees. The freshness, quality and flavour of our fresh roasts will impress. Our service, convenience and prompt delivery will delight, we are sure! We hope that we can be of service and that you will soon enjoy the Arabicas experience!